New data on driver distraction amounts to what could be called an epidemic of unsafe, even deadly, driving behavior. Are you doing your due diligence in training drivers? Are you willing to even go above and beyond? 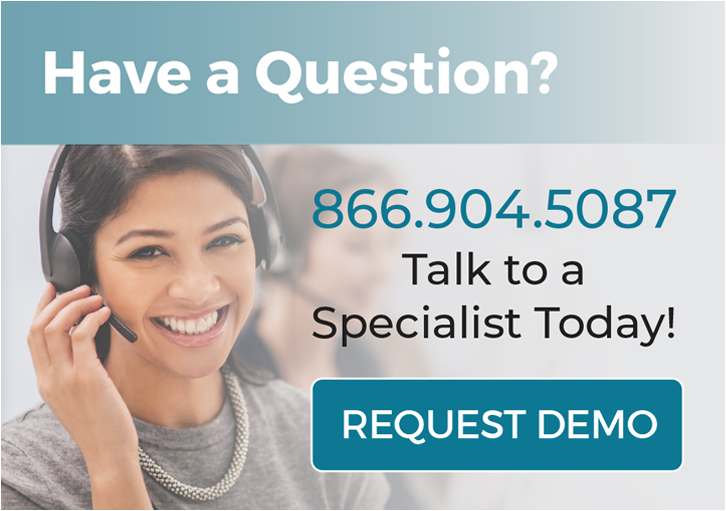 Your business may depend on it. Lives may depend on it. Can you beat the statistics? Keeping roads safe is a service to your community and to the nation. The National Safety Council thinks so, too. That’s why April is Distracted Driving Awareness Month. 47% of commercial drivers in this study by UFG Insurance said they’d read a text while operating a commercial vehicle. 39% said they have sent text messages. 72% acknowledged that their distracted driving could cause a collision. It would be hard to say drivers don’t know better. Out of 500 respondents in the survey, almost 100% acknowledged these behaviors as dangerous. The survey found some important differences, too. Commercial drivers were less likely to acknowledge checking their social media feed or doing their makeup as dangerous (6-7%). But when it comes to holding conversations or changing the radio station, commercial drivers were more aware of the risks and dangers than general drivers (8-11%). But the point is, whatever drivers think is dangerous, what are they actually doing? “Despite the acknowledgment… that certain behaviors (in some cases illegal behaviors) are forms of distracted driving… substantial proportions of drivers… admit to doing these things while driving. Four in ten say they have sent a text while driving, half have read a text, and six in ten have talked on a hand-held phone while driving. What’s more, drivers behave in this fashion even as they understand the consequences. First of all, share this information with your drivers. Encourage them to read up on the statistics and take the Just Drive pledge. They can even dedicate their pledge to someone, such as family, or to a loved one wounded or killed in a car accident. Consider making it part of this month’s training requirement to read up on info and take a short test. Repeat this over the next several months as part of a campaign. You could even create a survey of your own (you’ll likely get more honest and more helpful answers if you leave it anonymous) to see where your own drivers are. Reassess your training process. Are drivers sleeping through meetings or sleepwalking through paperwork? There’s a simple way to improve your training and onboarding, and that’s through minimizing the number of times you do on-site training, so you can maximize the quality when you do require it. Give online training videos a shot. Move most of your training online. Not only does this free up energy and resources for on-site training, but you’re actually maximizing the quality of all your training. Why? Drivers appreciate when you value their time. Treat them like adults, and they’re more ready to listen and participate. Online training builds a more efficient, flexible, frugal, and organized process. All records of completed modules are automatically saved. It gives drivers much more ownership over their training process, letting them fit ongoing training into their schedules, and doesn’t pull them off the road for every class or remediation. It lets you remediate unwanted behavior right away, wherever a driver is located. It’s convenient, so you’re not tempted to let due diligence slip. Short, repeated training, called “micro-learning,” is easier to remember than hours of sitting in a class. As an owner or manager, it’s up to you to keep an eye on the safety habits of your drivers. The numbers show that they know what to do, but they’re finding it hard to change. Help them out with more frequent, more effective training and follow-up. You set the bar. Working together, you’re all at the front line of preventing injury, loss of property, litigation, and loss of life on the roads. 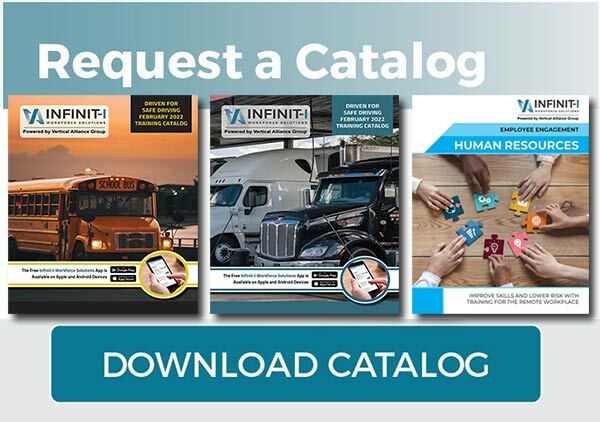 At Infinit-I, our online training system helps trucking companies improve their savings and safety numbers day by day. Try a free demo of the Infinit-I system, or join us in Dallas for a free two-day seminar on improving safety and efficiency.